Animal Lovers are suing Los Angeles County Animal Control Department. Ed Boks, major AB 1634 supporter is majorly screwing up in Los Angeles and he appears to know it. It's turning into a battle of twisty-turny, dizzifying rhetoric on his blog. Actually, everything Boks is doing is highlighting why AB 1634 cannot work, and furthermore, why it cannot work with a No Kill solution to shelter killings. Don't miss the commentary at Gina Spadafori's Pet Connection Blog for better clarity of what is going on. Read the quoted material posted below if you are not familiar with the issues involved. It will help you understand some of what is going on before you go to the Pet Connection. This is Zephyr who came to the shelter healthy. She is ill in the photo above. She and many others died there. The national No Kill Advocacy Center, Cathy Nguyen, a volunteer animal rescuer, and Rebecca Arvizu, a Los Angeles County taxpayer and animal rescuer, have jointly filed a lawsuit against Los Angeles County, its Department of Animal Care and Control, and the Department’s Director, Marcia Mayeda. The lawsuit alleges unlawful and abusive treatment of animals at all six Los Angeles County animal shelters. The lawsuit asks a Superior Court Judge to order Los Angeles County, its Department of Animal Care and Control, and Department Director Mayeda to comply with state laws that protect animals from arbitrary and inhumane treatment. The lawsuit is being handled by the Los Angeles law firm of Eisenberg, Raizman, Thurston, and Wong, LLP. The No Kill Advocacy Center is a national non-profit organization trying to end the systematic killing of animals in U.S. shelters. It has drafted model legislation, works with municipal and private shelters nationwide, and helps animal lovers throughout the United States reform their local shelters. The lawsuit is based on violations of California laws, especially the 1998 Animal Shelter Law. The law sought to reform California shelters which were unnecessarily killing in the face of cost-effective lifesaving alternatives. It follows a successful lawsuit in Kern County where a Superior Court judge held the Kern County animal control shelter in violation of law and ordered that shelter to cease its legal violations. Please help us pay for the legal costs. 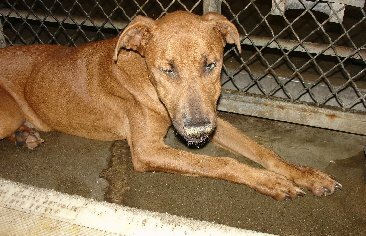 To donate by check or make a secure online donation, click here or go to nokilladvocacycenter.org. 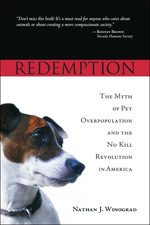 Have you read "Redemption: The Myth of Pet Overpopulation and the No Kill Revolution in America" yet? The more you know, the better your understanding of WHY AB 1634 and similar legislation does not work.